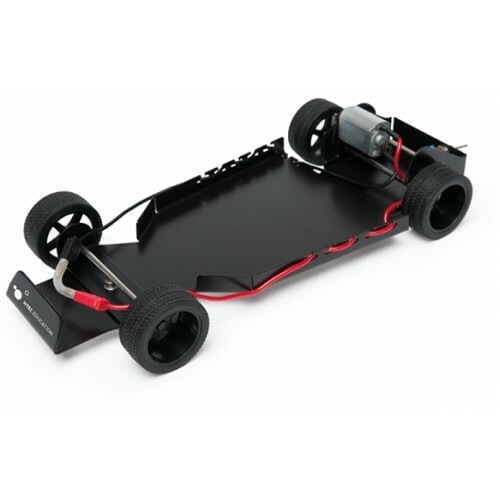 H-TEC's Tutorial Pro, T203 is a more extensive kit than the Junior Basic or Tutorial Basic that allows experiments across a wide range of hydrogen applications, including automotive applications. 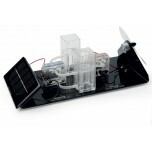 This kit consists of single components, such as a solar module, PEM electrolyser, hydrogen, and oxygen storage tanks, PEM fuel cell, PEMFC kit, and fan (for electric load); each with magnetic base for modular arrangement on a base plate and textbook. 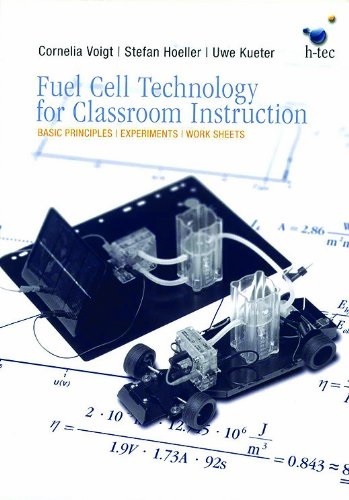 The included H-TEC Education fuel cell textbook contains information about the technology and instructions for a variety of experiments. The Tutorial Pro allows you to run solar experiments to power the electrolyser and collect the generated hydrogen and oxygen gases in the storage tanks. 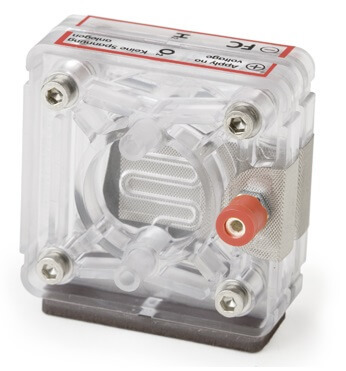 Then, you can use the gases for the PEM fuel cell to generate power for either the H2/O2 or H2/Air mode. 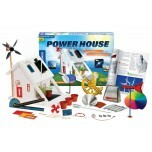 This kit also provides the opportunity to build a self contained solar hydrogen system or fill up a hydrogen powered model car with its' own solar hydrogen station. 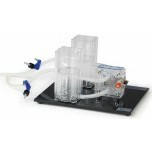 The PEM Electrolyzer separates water into hydrogen and oxygen. 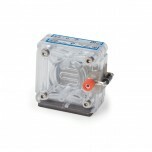 It is operated with distilled water and requires no caustic solutions or acids. 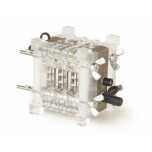 The PEM Fuel Cell can be completely disassembled for educational purposes. 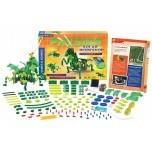 Tools needed for assembly / disassembly are included. 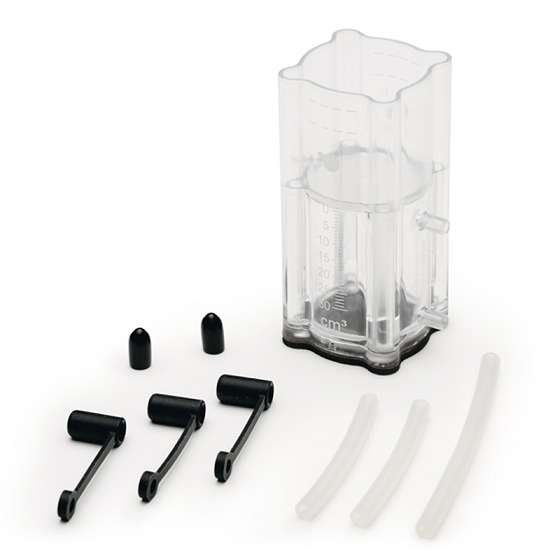 The graduated hydrogen, oxygen, and water storage cylinders visualize the classic hydrogen separation experiment, as in the Hoffmann apparatus. The PEM Fuel Cell generates electrical energy from hydrogen and oxygen or hydrogen and air. It is based on PEM technology, which is the most widespread technology used in the development of fuel cell applications, e.g. 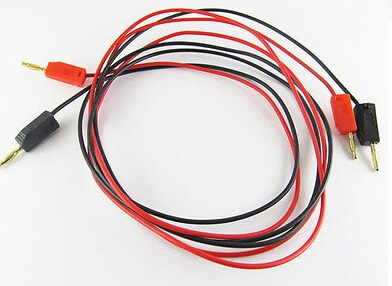 for motor vehicles or stationary power supply systems. 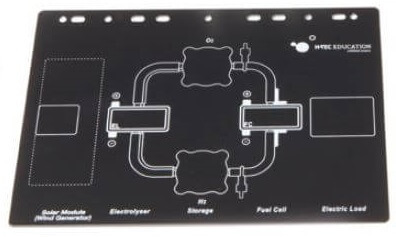 A black metal plate that allows you to connect the magnetic bases of each item on to it. 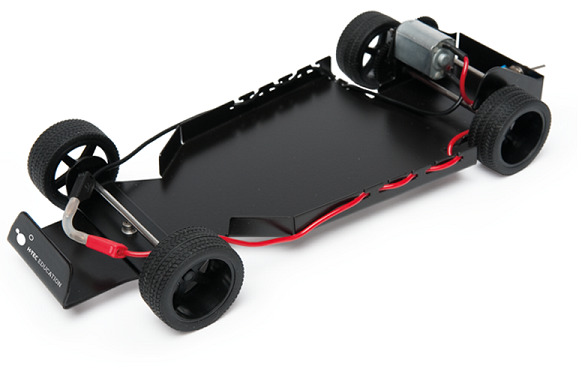 Metallic vehicle chassis with electric motor. 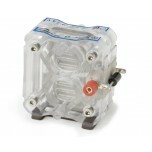 1) The fuel cell only produces low power. Cause: The cell has been stored for a very long time or is too dry. A cell with a dry membrane will lose power. Solution: Continue operating the cell. The cell will moisten itself during operation and gradually return to full power. 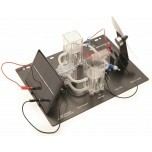 2) The electric load connected to the cell does not work, despite hydrogen being present. Cause: Water has gotten into the fuel cell (e.g. via the storage tank). 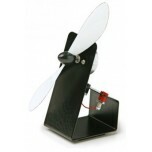 Drops of water in the fuel cell can block the gas feed and lead to a rapid loss of power. 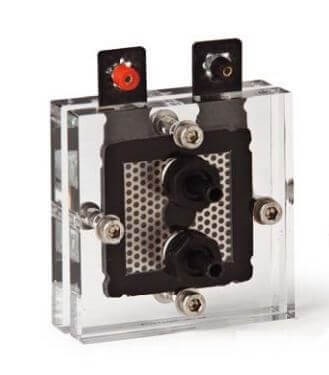 Solution: Dry the cell by opening the connectors and blowing through the cell. 3) No hydrogen is produced by the electrolyser when the solar cell is connected. Cause: The light intensity is insufficient. 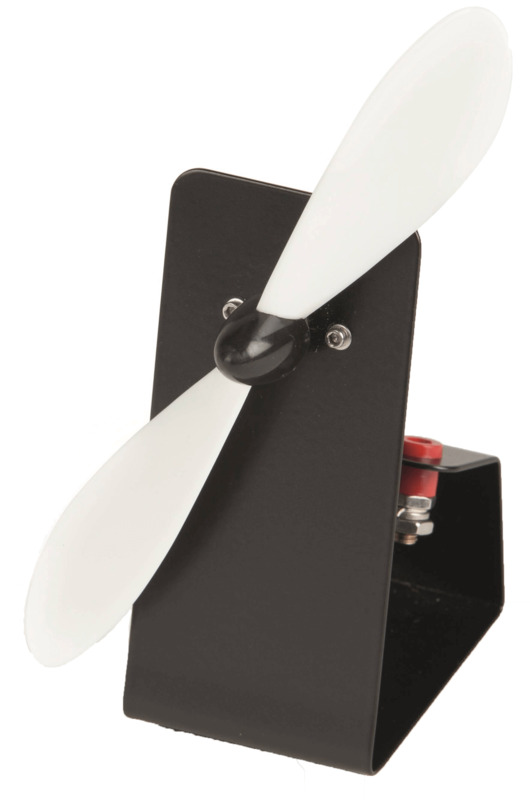 Solution: Check the power specifi cations designed for the light source. 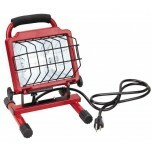 You need suffi cient sunlight or halogen lamps with focused light such as the Sun Simulator Light. Energy-saving lamps, fluorescent tubes, etc. 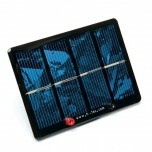 are not suitable for the operation of solar modules. 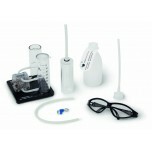 4) The electrolyser does not work despite being set up correctly.